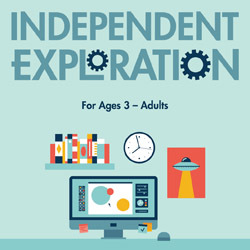 Carroll County Public Library - Exploration Point! Exploration Point! is a makerspace and digital media resource offering everyone from preschoolers to adults the opportunity to connect with others and bring their ideas to life using technology. Explore hands-on experiences with coding robots, 3D design, digital media creation, green screen photography, and STEM activities in a self-guided learning environment. Schedule an appointment with a librarian to learn more about laser engraving and cutting and 3D printing. Attend a program for more in-depth learning. What will you create? Located in the Eldersburg Branch, Exploration Point! is open for scheduled programs and open access times. Drop in for self-guided use of any of the makerspace resources on a first-come, first-served basis during Independent Exploration. 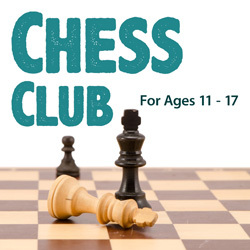 Parents and caregivers are encouraged to work with children 12 and under to explore their interests and projects. Let's play Pokémon! 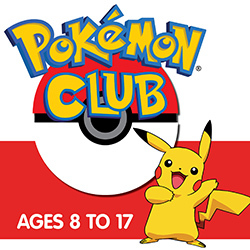 Bring your cards and/or devices to this informal gathering for some unofficial Pokémon play. Are you interested in learning more about coding, web design, 3D printing, laser engraving, or Microsoft Office applications? 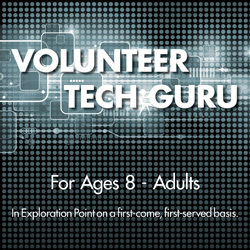 Drop in on the first Saturday of the month, when we'll have a volunteer guru in Exploration Point to help you on a first-come, first-served basis.